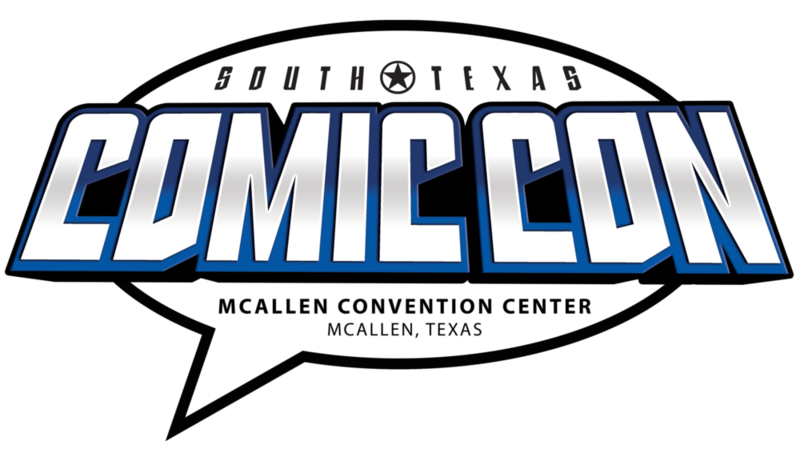 South Texas Comic Con will take place at the McAllen Convention Center in McAllen, TX from April 26th-28th, 2019. Sabaku Con will take place at the Albuquerque Marriott Pyramid North in Albuquerque, NM from May 10th-12th, 2019. Otafest will take place at the Calgary Telus Convention Centre in Calgary, AB, Canada from May 17th-19th, 2019. GalaxyCon Richmond will take place at the Richmond Convention Center in Richmond, VA from May 31st-June 2nd, 2019. JAFAX will take place at the DeVos Place Convention Center and Amway Grand Plaza Hotel in Grand Rapids, MI from June 7th-9th, 2019. Anime Midwest will take place at the Hyatt Regency O'Hare and Stephens Convention Center in Rosemont, Illinois from July 5th-7th, 2019. Fanboy Expo will take place at the Knoxville Convention Center in Knoxville, TN from July 12th-14th, 2019. 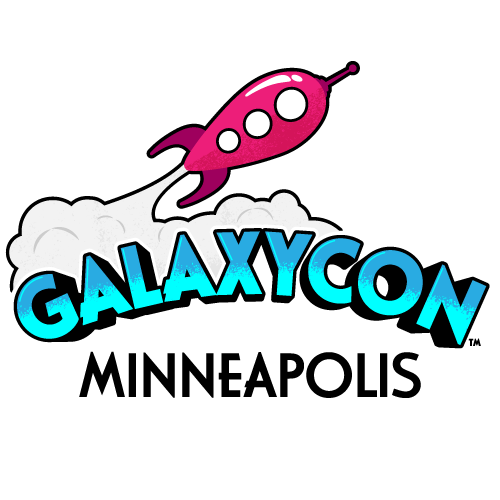 GalaxyCon Minneapolis will take place at the Minneapolis Convention Center in Minneapolis, MN from November 8th-10th, 2019. Louisville Supercon will take place at the Kentucky International Convention Center in Louisville, KY from November 22nd-24th, 2019. Kawaii Kon will take place at the Hawaii Convention Center in Honolulu, HI from April 5th-7th, 2019. Planet Comicon will take place at Bartle Hall in Kansas City, MO from March 29th-31st 2019. Ichibancon will take place at the Embassy Suites Hotel Concord in Concord, North Carolina from January 10th-13th, 2019. Fan Expo Vancouver will take place at the Vancouver Convention Centre in Vancouver, BC, Canada from October 12th-14th, 2018. Anime Weekend Atlanta will take place at the Renaissance Waverly & Cobb Galleria Center in Atlanta, GA from September 21st-23rd, 2018. Raleigh Supercon will take place at the Raleigh Convention Center in Raleigh, NC from July 27th-29th, 2018. San Diego Comic-Con will take place at the San Diego Convention Center in San Diego, CA from July 19th-22nd, 2018. ConnectiCon will take place at the Connecticut Convention Center in Hartford, CT from July 12th-15th, 2018. Pheonix Comic Fest will take place at the Phoenix Convention Center in Phoenix, AZ from May 24th-27th, 2018. Nickel City Con will take place at the Buffalo Niagara Convention Center in Buffalo, NY from May 18th-20th, 2018. Ottawa Comiccon will take place at The EY Center in Ottawa, Ontario from May 11th-13th, 2018. Universal Fancon will take place at The Baltimore Convention Center in Baltimore, Maryland from April 27th-29th. Sci-Fi on the Rock 2018 will be held at the Sheraton Hotel Newfoundland in St John, Newfoundland, Canada. Naka Kon will take place at the Overland Park Convention Center and Overland Park Sheraton Hotel in Overland Park, KS from March 16th-18th 2018. Katsucon 2018 will be held in the DC Metro Are of National Harbor, Maryland from February 16th-18th. Anime Los Angeles will take place at the Ontario Convention Center and Ontario Gateway Hotel (former Radisson) in Los Angeles, California from January 25th-28th 2018. Wizard World Comic Con: Austin will take place at the Austin Convention Center in Austin, Texas from November 17th-19th. Rhode Island Comic Con will take place at the Rhode Island Convention Center in Providence, RI from November 10th-12th. Central Canada Comic Con (C4) will take place at the RBC Convention Centre in Winnipeg from October 27th-29th. MetroCon 2017 will take place at the Tampa Convention Center, located directly on the waterfront in the heart of downtown Tampa, FL. San Diego Comic Con 2017 will take place at the San Diego Convention Center from July 20th-23rd. Kitsune Kon 2017 will take place at the Ki Convention Center in Green Bay, Wisconsin from July 14th-16th. BoroughCon will be held in the Borough of Queens, hosted by St. John's University over Memorial Day weekend (May 26th-29th, 2017). Steve will participate in panels (Times/Dates TBA) and autograph signings (Times/Dates TBA). Granite City Comic Con 2017 will take place at the Hilton Tree Tops in Aberdeen, Scotland from May 20th-21st. The 2017 Star Wars Celebration will take place April 13th-16th at the Orange County Convention Center in Orlando, FL. Wen-Con is Wenatchee's one-day-only pop-culture convention, taking place on Saturday, April 8th, 2017 at the Town Toyota Center in Wenatcheem WA.